August | 2018 | Mike Lamberti, From Margate To Cleveland, And Back ! Bill Johnson has enjoyed a long and successful coaching career. And now, the Passaic Valley educator and former Hornet football player and coach, is beginning a new challenge, as an assistant football coach at St. Peter’s Prep, in Jersey City. Johnson served two tenures as head football coach at Passaic Valley, first from 1999-2003 and later, from 2012-2014. In addition to his head coaching responsibilities, Johnson has been an assistant coach at a number of schools, including his collegiate alma mater, Montclair State. He coached at St. Joseph (Montvale) in 2015 and 2016 and helped the Green Knights to a state title in 2016. Johnson was on the staff at Don Bosco Prep last fall. St. Peter’s Prep was 9-3 in 2017. The Marauders advanced to the Non-Public, Group 4 championship game, at MetLife Stadium, before losing to the state’s top-ranked team, Bergen Catholic. The program last won a state championship in 2014. 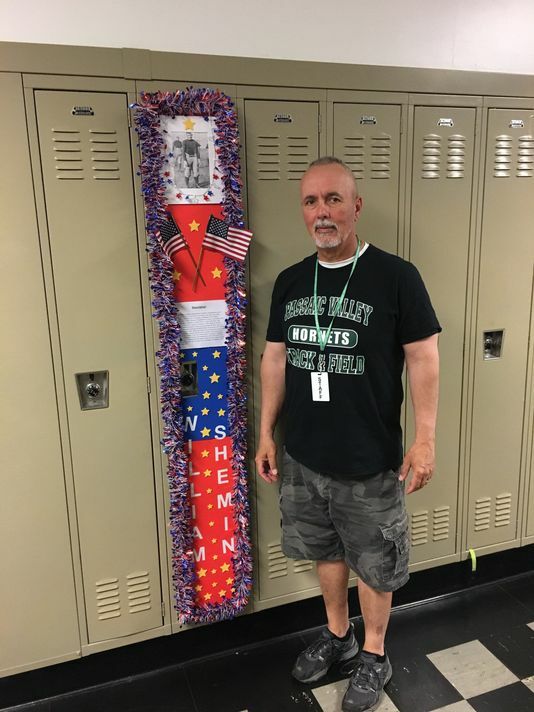 In September, Johnson will also begin another year as an educator at Passaic Valley High, where he’s a history teacher. He has put together a year-end project for the students, researching Medal of Honor recipients. While Johnson no longer coaches football at PV, he’s still a coach for the Green and White. “I’ll be back coaching girls track again next spring,” said Johnson, who has been the head coach of the girls track program at PV for 15 years. He was also the winter track coach for many years. Johnson has mentored a number of young football coaches over the years.